We must remember that we are soldiers of the cross, single or married. and the constant pressures of pop-culture? This book will introduce you to God’s pattern for sacred, purpose-filled, world-changing singleness. This message will inspire you to discover a passionate romance with the ultimate Bridegroom—a romance that will satisfy the deepest desires of your soul. 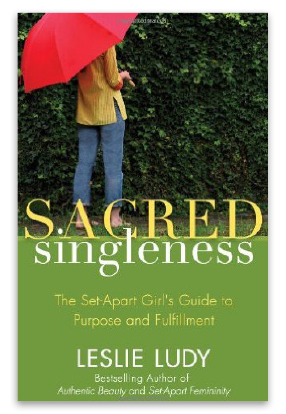 With inspiring firsthand testimonials from both modern and historical single women and a comprehensive guide to serving the least and lost around the world, Sacred Singleness will awaken you to God’s amazing plan for the single season of your life!